Around three years ago, my wife and I made a stop in Ft. Pierce to visit Sailfish Brewing. It was a very enjoyable experience! 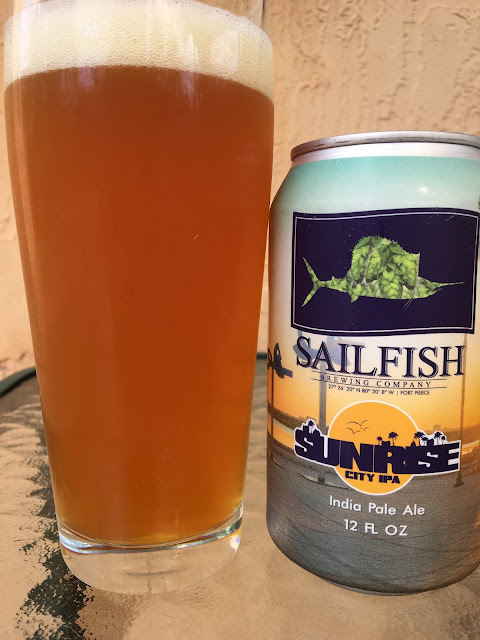 Today, Sailfish has some distribution all the way down to Miami, including their Sunrise City IPA, which I think the keg was kicked back when we visited! Things have changed with a bigger brewing system. There's a story on the can to set your expectations. 7% alcohol. Very nice label artwork. Beautiful melon, cantaloupe and tangerine aroma. Wow! Big pine flavors come first, spicy and resinous. There is also plenty of citrus, this beer really shows off the orange and tangerine flavors. 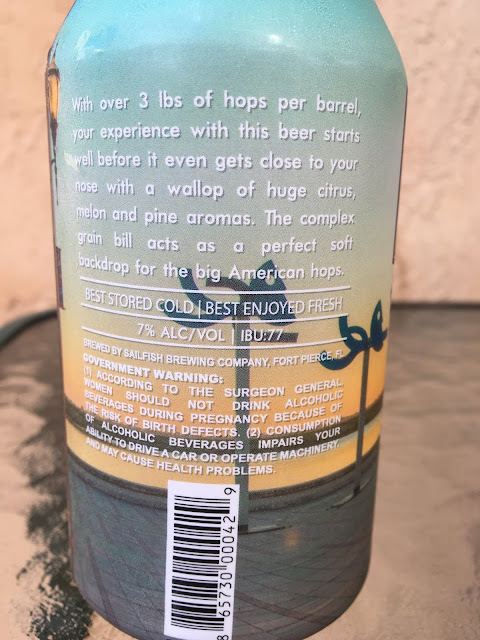 This beer is quite bitter, though some melon sweetness and balance comes with a little warmth. I liked it very much. Check it out! Visit the brewery if you can.